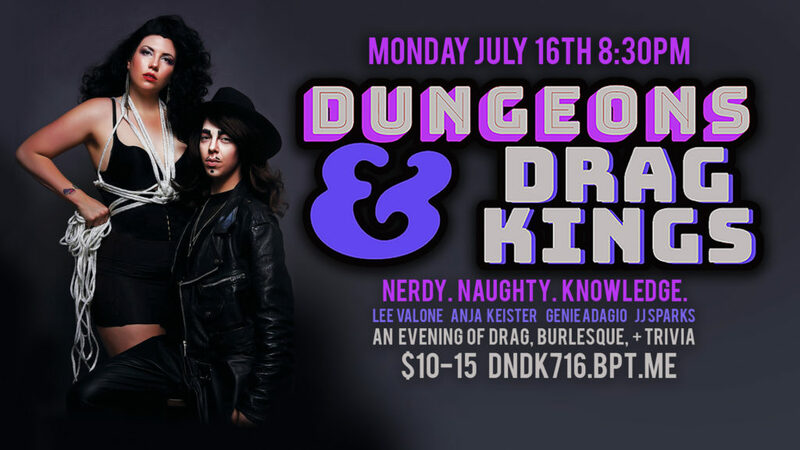 After a wildly successful 1st edition, we are back Monday July 16th for our new installment of Dungeons & Drag Kings at The Way Station. Produced by Anja Keister (D20 Burlesque, Totally 90’s Trivia) and Lee Valone (BEEF Show, Jump Shark!) this show is sure to blow your minds with our powerhouse of performers!